Gravity Flow version 2.1 is now available via auto-update and for download from the account area. This is a feature release that adds support for Gravity Perks Nested Forms, enhancements to the Outgoing Webhook step and the discussion field, new developer features and some important bug fixes. IMPORTANT: Gravity Flow needs to be upgraded to v2.1 before upgrading to Gravity Forms v2.3. Gravity Perks Nested Forms is an extremely popular add-on for Gravity Forms which allows repeatable data in Gravity Forms. Gravity Flow now supports Nested Forms on the User Input step so assignees can add, edit or remove child entries from a Nested Forms field. For example, it’s now easier to modify the line items in a purchase order or reimbursement request without complex conditional logic. The Approval step also supports viewing the nested form data so assignees can approve the nested data. Notice the total price of all the products is updated immediately. 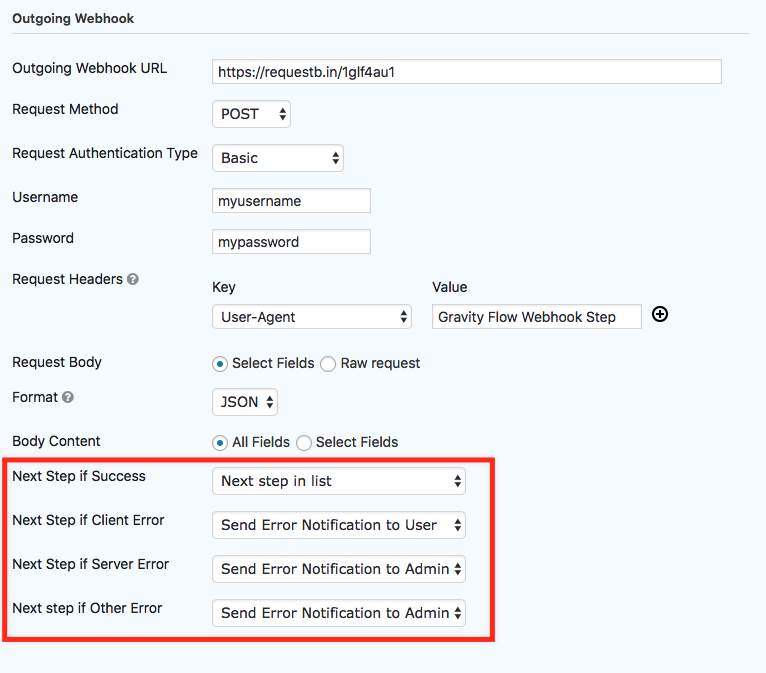 The Outgoing Webhook now has additional “Next Step” settings for different response codes. For example, you can now send an email to an administrator if there’s an error response from the webhook. Discussions between assignees can get pretty long. So we’ve added a nifty little feature to restrict the visible discussion items to 10 with a “View more/less” button to toggle the rest of the discussion. 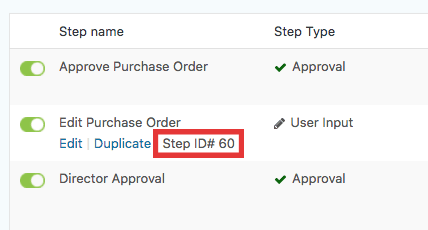 It’s now easier to find the Step ID. We’ve added it to both the step list and the step settings page. We’ve added 9 new filters in this release to make it even easier to customise Gravity Flow. We’ve also refactored the way assignees are added to allow new types of assignees to be added. This will pave the way for some exciting new features we have in the pipeline. Added support for the Gravity Perks Nested Forms add-on. Added the current step as parameters to the gravityflow_feedback_approval_token and gravityflow_feedback_approval filters. Added the filter gravityflow_feedback_cancel_workflow to allow the user feedback to be modified when the workflow is cancelled using the cancel workflow link. Added the filter gravityflow_inbox_search_criteria to allow the search criteria to be modify. Added the filter gravityflow_assignee_choices to allow the list of assignee choices to be modified in the step settings. Updated the Sliced Invoices integration. Updated discussion field to display the view more / less effect on all step types for status and inbox pages. Previously limited to user input edit field. Fixed an issue where, in some situations, getting the next step was not using the latest version of the entry. Fixed an issue where calculated product fields hidden by conditional logic could appear in order summary when the entry is updated on the User Input step. Fixed an issue where feeds with conditional logic can block the progress of the workflow if the conditional is not met. API: Updated the way assignees are handled to allow the base assignee class to be extended so new types of assignees can be created.